It’s wing season and I don’t think I know anyone that doesn’t like wings. 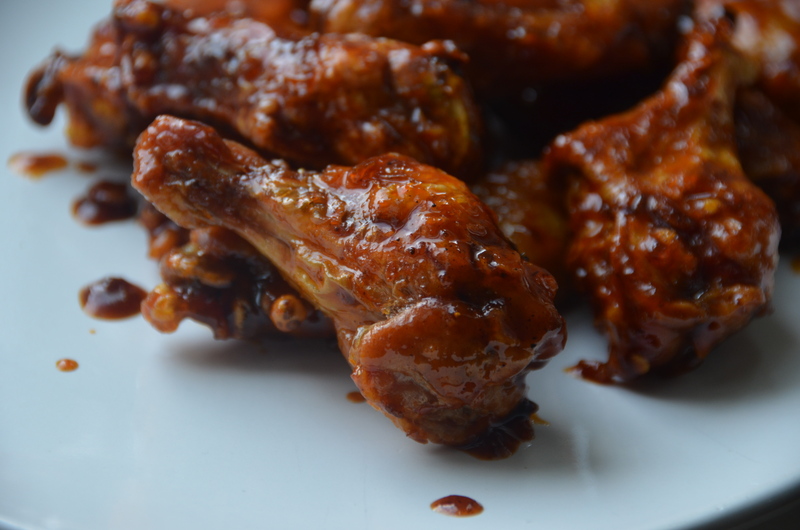 The good thing about this recipe is that the wings get nice and crispy without frying them. I can’t take credit for this method, I actually saw this used by Alton Brown. 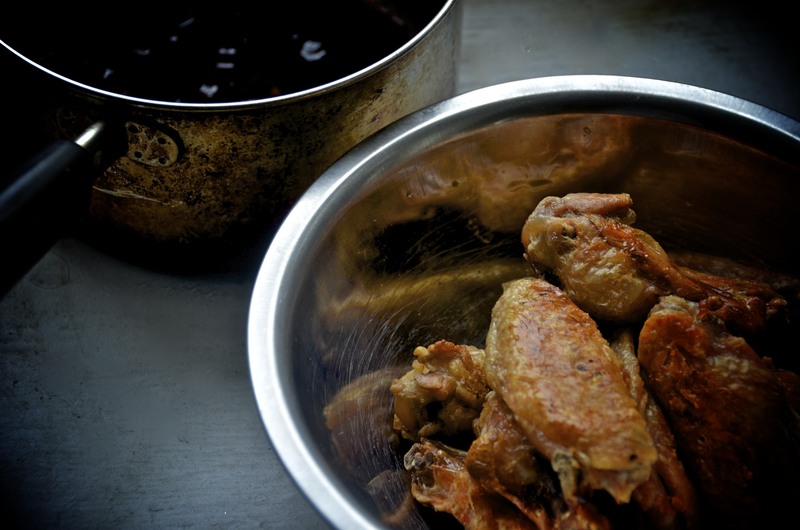 It takes a little more preparation than the traditional fried wing, but the results are well worth it! To start the wings, you need to bring about one inch of water to a boil in a large pot that has a steamer basket. Place wings inside the steaming basket, cover, and steam for 10 minutes. You may need to do this step in batches. When the wings are done, pat them dry and place on a wire rack. Place the rack on a cookie sheet lined with paper towels. The towels will catch any remaining moisture from the chicken. Place the chicken in the fridge and chill for an hour. Preheat oven to 425º . While the wings are chilling, make the sauce. Melt butter in a small saucepan and add garlic, chili peppers, and grated ginger. Cook one minute making sure garlic does not burn. Add remaining ingredients and simmer for five minutes. Let sauce cool slightly, it will thicken a little. After the wings have chilled place on a cookie sheet (line with parchment for easy cleanup) bake for 20 minutes in the preheated oven. 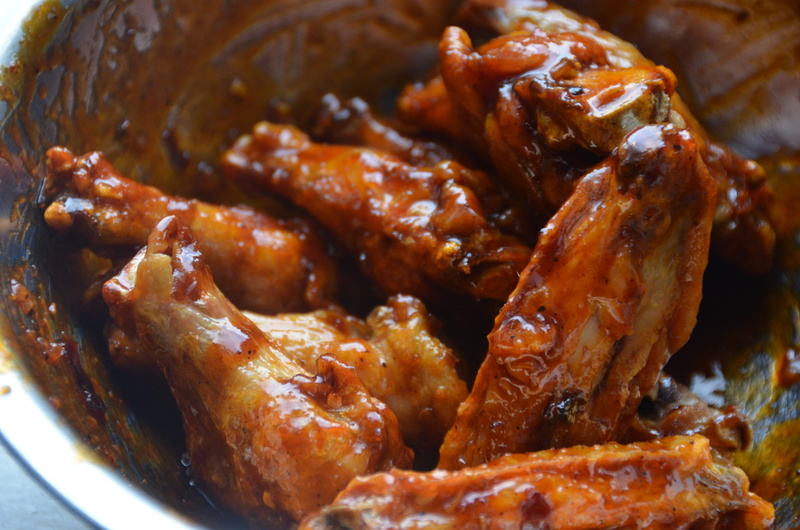 Turn wings and bake an additional 20 minutes. Wings should be golden brown and crispy. Place in a large bowl and pour sauce over. Toss to coat. This is a lot more work than I do with mine, but I too am a “bake over fry” guy. I’ll have to give this a try sometime to see how they are. Heck, if you and Alton Brown say they’re good…. They’re really good! They are just as crispy as fried wings.